The laws surrounding crossbows differ from state to state, this is because the laws are set at the state level. In some states, they may be legal all year round, and in other states, the laws may be more restrictive. 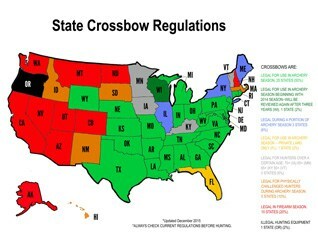 Make sure you take an in-depth look at your state and the laws surrounding crossbows. Your crossbow may need to have a certain draw weight, or you may need to purchase a special license to use it. Have a look at the following to determine whether your crossbow is legal in California or if you’re asking “are crossbows legal in Massachusetts?”. You don’t want to dig out your best recurve bow or spend a ton of money on top bow brands only to find you can’t use them in your state. Make sure you check when the season starts and ends and look for any restrictions that apply during these times. It may be that you need to hold an archery license or be of a certain age. Again, there may be further restrictions applied during these seasons such draw weights and the use of scopes. 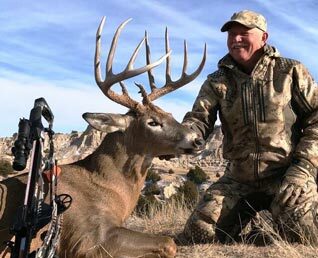 Kentucky: a resident over the age of 65 is allowed to hunt deer with a crossbow between September and January. Maine: you will require a crossbow hunting permit. You must have a license to hunt large game and have completed an archery/crossbow course. Vermont: if you are over the age of 50 you can hunt with a crossbow without a permit. If you are younger than that you will need to obtain a license. Oregon is not one of the crossbow legal states and is the only state where it is illegal to hunt with a crossbow. The state has a very firm stance on the issue, and even disabled hunters are not permitted to use them in any season.